Voting in the United States has changed over time. In the beginning, the vote was limited to property owners. That requirement was loosened and voting was extended to citizens that could pay a tax, known as a poll tax. By the middle of the 19th century, the vote was extended to nearly all white men with little use of a poll tax. Enfranchisement was again widened with the Fifteenth Amendment, in which African-American men gained the right to vote. It was then that the poll tax had a rebirth, along with other disenfranchising practices. 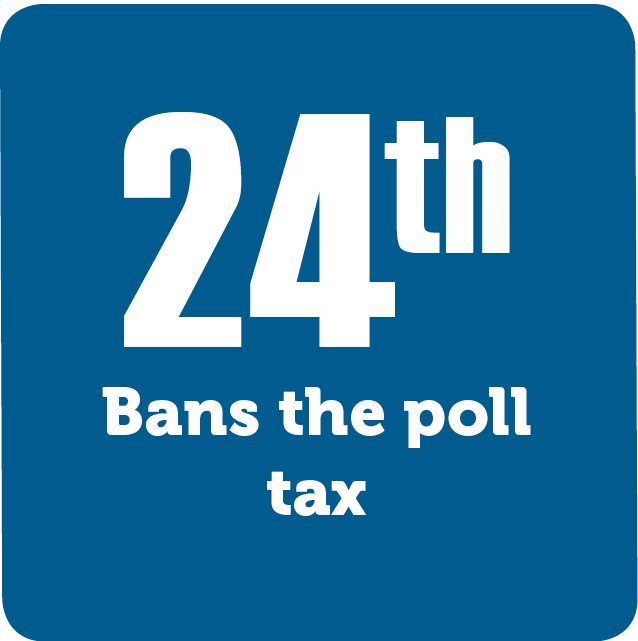 In 1964, the Twenty-Fourth Amendment banned the poll tax in federal elections. The Supreme Court would extend the ban into state and local elections.